She also met young girls and women in her area to understand their needs for a beauty parlour. Quickly she realized that it would be a good business in her area. She took a loan of Rs.45,000/- from her parents to set up a Beauty Parlour. 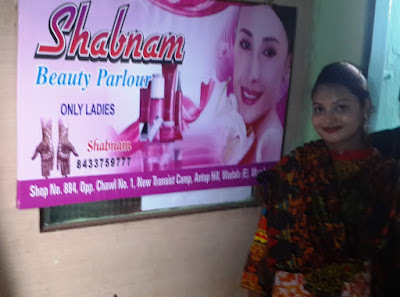 Today her parlour “SHABNAM BEAUTY PARLOUR” is a well-known among young girls and household women. She works on part time basis and has also kept an assistant to help her. 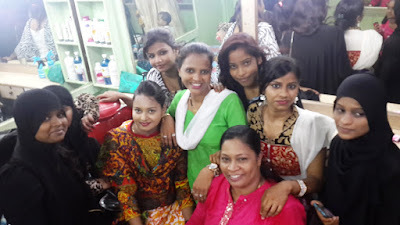 She provides services like facial, clean-up, waxing, mehandi, haircut, manicure, pedicure etc. She is able to earn upto Rs.6000 per month on an average. In addition while doing her course in DBDS she got motivated to study further; and is also studying for graduation in Khalsa College, Matunga. “I am very grateful to Don Bosco, not merely for giving me an occupation in life but for what I am today”, said Shabnam Shaikh on the inauguration day of her beauty parlour. Shabnam Shaikh resides with her family in the Bangalipura slum at Antop Hill area in Mumbai. Her family consists of her parents and 2 brothers. She always wanted to be self-reliant and stand on her feet. After completing her HSC exam, she started looking for job but couldn’t find one as she had no experience. During this job hunting period she met Basanti, Social Worker of Don Bosco Development Society (DBDS), Mumbai. 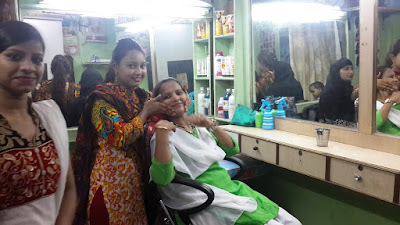 Basanti informed her about the job oriented Beautician course in DBDS, which was Government of India certified. Soon she enrolled for this course and underwent 4 months of intensive training at DBDS. She also underwent entrepreneurship training with DBDS, which brought out the real entrepreneur in her. After learning Beautician skills she undertook an area survey to test the feasibility of setting up a Beauty Parlour in her area.